Hydrocodone addiction symptoms are typically described as the actual feelings that a user experiences when he or she is addicted to the drug rather than something that an outsider can see. For instance, according to Medical News Today, a symptom of addiction would be feeling tired or having symptoms of withdrawal when not using the drug while a sign would be something that an outsider may notice such as weight loss or needle marks on the skin. There are a number of Hydrocodone addiction symptoms that a user should be on the lookout for and, if present, such a user should consider seeking professional treatment in a Hydrocodone rehab facility or treatment center. Many people who are addicted to Hydrocodone will ask for refills long before their prescription is ready to be refilled. They may lie about the refill need, say their medication was lost or stolen or otherwise attempt drastic scenarios to get their hands on more of the drug. If you or someone you love is displaying these symptoms find help today! Doctor shopping has become a very prominent problem in the United States. Those addicted to Hydrocodone will see multiple doctors in an attempt to get the same prescription from more than one physician. Doctor shopping is one of the most common Hydrocodone addiction symptoms spotted also by an outsider. Withdrawal symptoms such as nausea, upset stomach, diarrhea, fever or chills, runny nose and stuffy nose are all possible when an addict stops taking Hydrocodone. Feeling sick without Hydrocodone is one of many Hydrocodone addiction symptoms that a user will experience primarily when attempting to quit. Spending time with new friends who abuse drugs, avoiding family to hide drug use or avoiding friends who don’t use drugs are all potential Hydrocodone addiction symptoms. 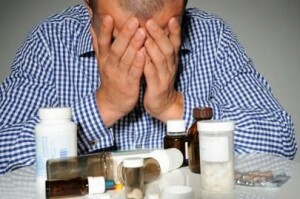 Many users will isolate themselves from those they love in an effort to keep their drug use hidden. As previously stated, a user will often isolate himself from others to hide drug use or they may not announce their drug use in an effort to keep their situation hidden. If you are hiding what you are doing, there’s a good chance that there’s a problem. Hydrocodone addiction usually leads to excessive use of Hydrocodone which often results in lying to others about the drug use. Lying is one of many Hydrocodone addiction symptoms that can cause a wide range of problems in relationships and elsewhere for the user. Also known as “phantom” pain, many people who are addicted to hydrocodone will feel pain that is not really there if they stop taking Hydrocodone. This “phantom” pain is the result of the body and the brain trying to trick the user into taking more of the drug. Cravings are hard to ignore no matter what they are for. One of the most common Hydrocodone addiction symptoms that users complain about and have trouble getting rid of is the cravings that occur when Hydrocodone is not being used. They simply want more of the drug no matter what the consequence. When will I get more, how will I get it, how will I get the money for more, who has it, where is it, when can I get it…these are all thoughts that cross a Hydrocodone addict’s mind throughout the day. Whether the user has the drug or not, Hydrocodone is always on the mind and interrupting other normal thought processes. This is one of the Hydrocodone addiction symptoms that ties in with hiding the drug use or lying to others. Storing Hydrocodone without others knowing or working to keep a consistent supply of Hydrocodone on hand is one of many common symptoms of Hydrocodone addiction that should not be overlooked.